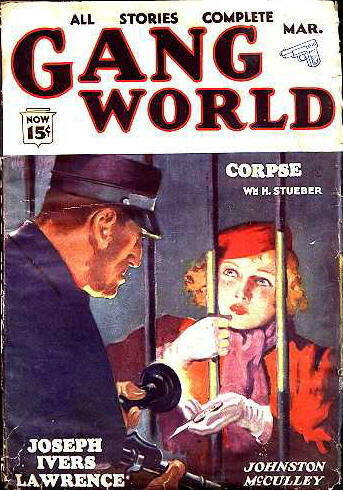 Title revived by a different publisher. 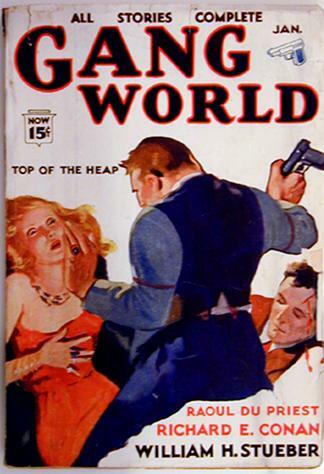 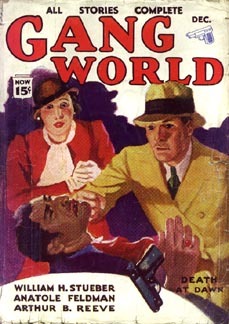 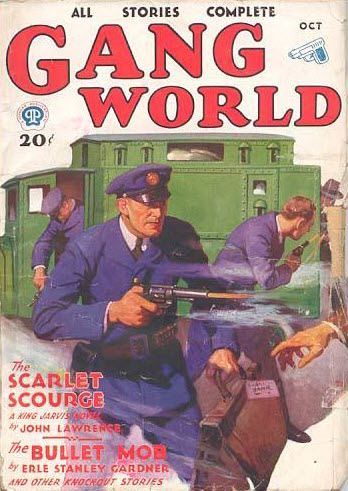 Very little is known about this title which seems to be a one-shot pulp launched by H.C. Blackerby who also launched another one-shot detective pulp, Chief Detective, and a one-shot western pulp called Prize Western at the same time. 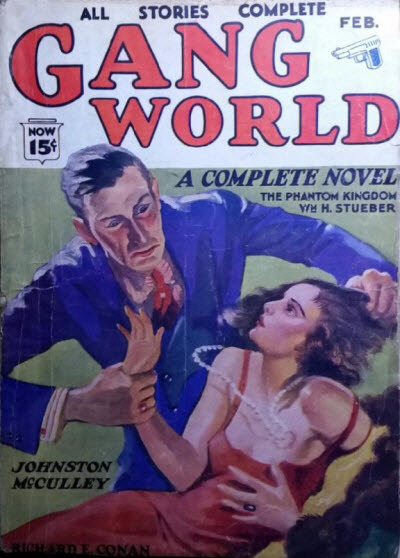 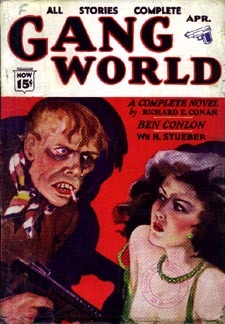 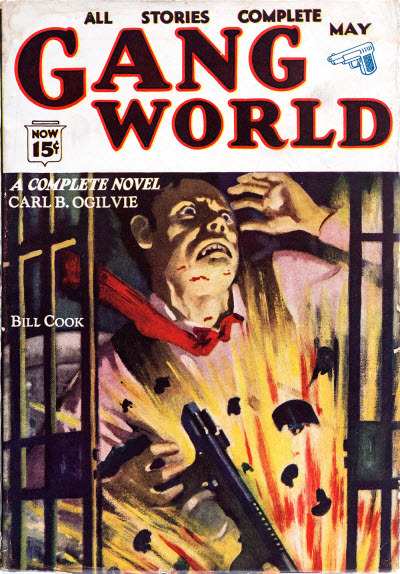 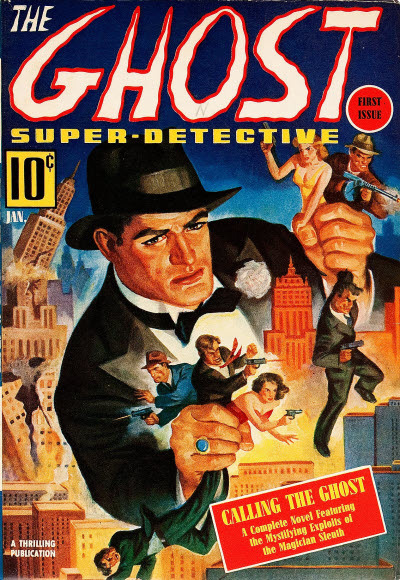 Featuring George Chance, a stage magician turned hero, The Ghost, Super-Detective was a low-budget effort from the start, featuring only the lead novel and a couple of short stories. 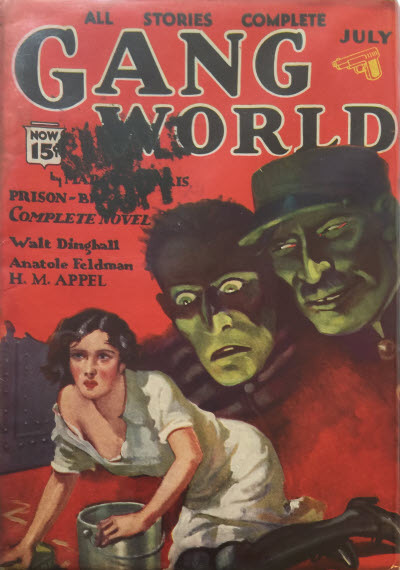 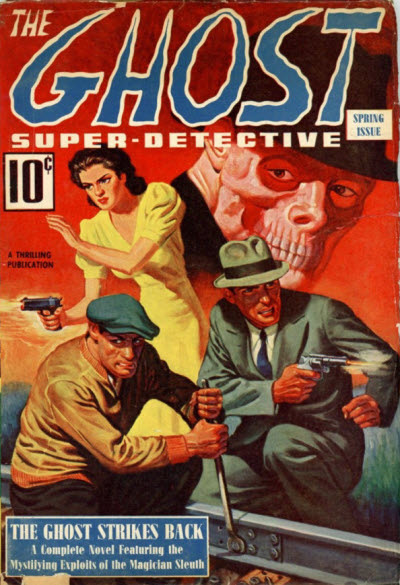 After three issues it had a single issue as simply The Ghost Detective, followed by another three as The Green Ghost Detective, before succumbing to the World War II paper shortage. 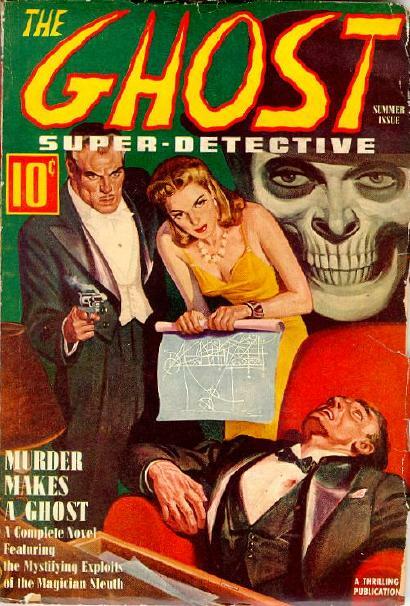 Title changed from The Ghost, Super-Detective. 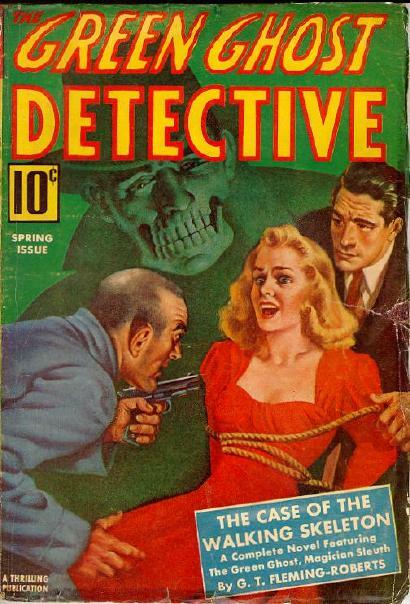 Title changed from The Ghost Detective. 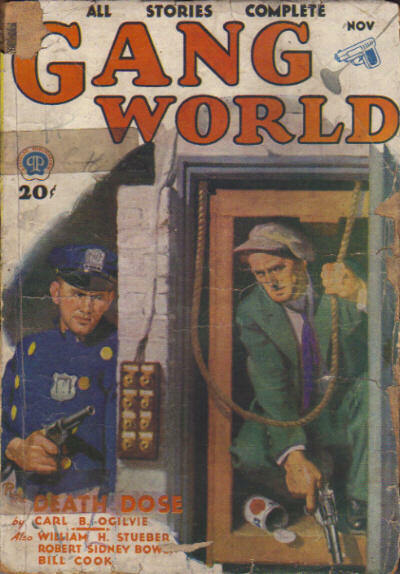 One story was announced for the unpublished Winter 1942 issue. 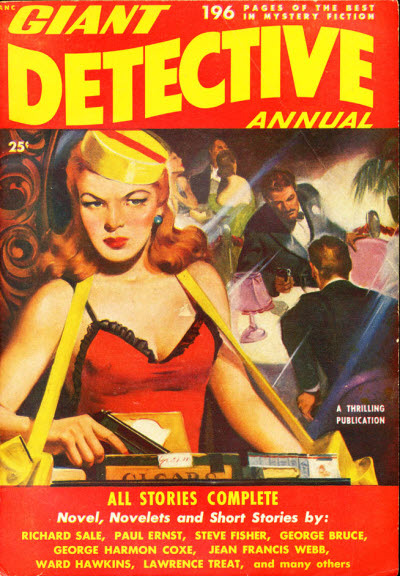 --- see under Mystery Book Magazine. 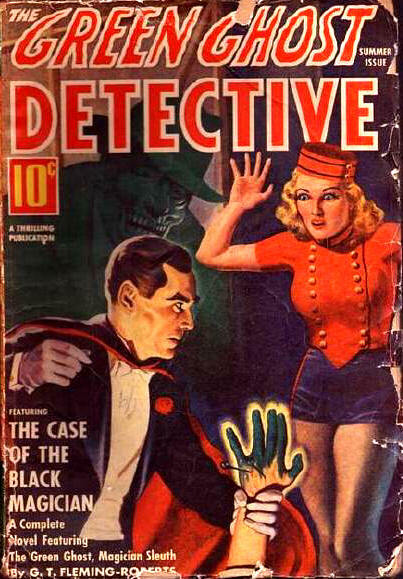 --- see under Mystery Book Magazine (Canada). 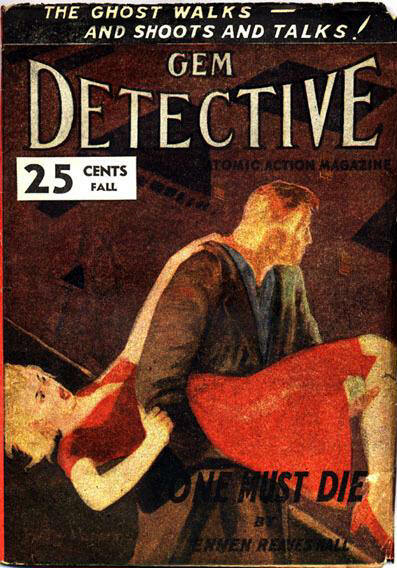 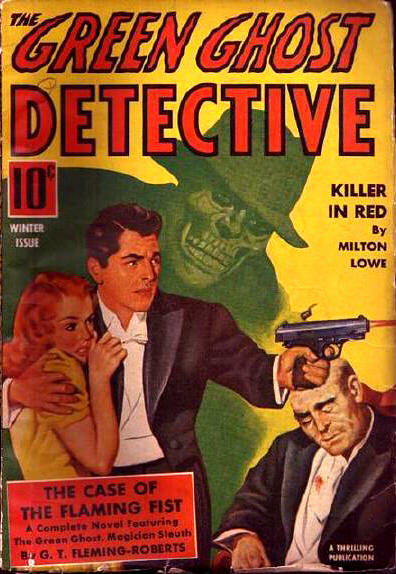 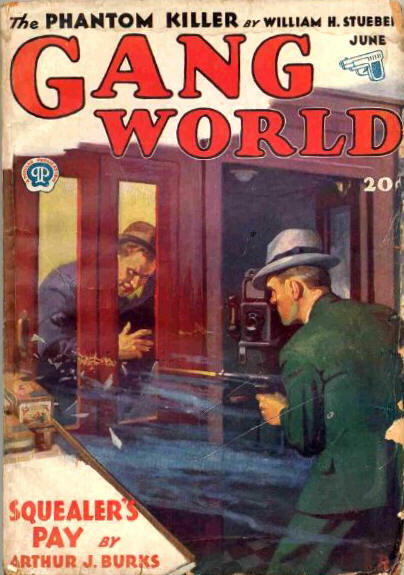 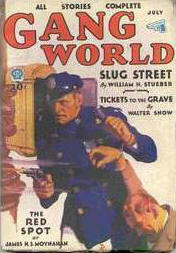 A one-shot pulp, reprinting 14 stories from a wide variety of other detective pulps. 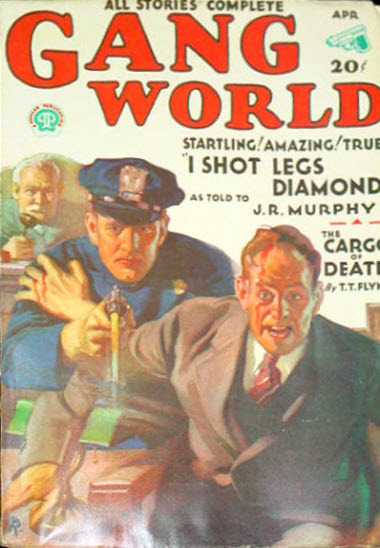 Contained rebound, unsold, issues of Manhunt and other digest crime magazines. 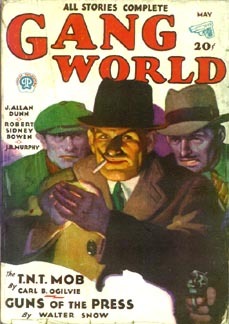 Exact contents of any given issue can vary from copy to copy. 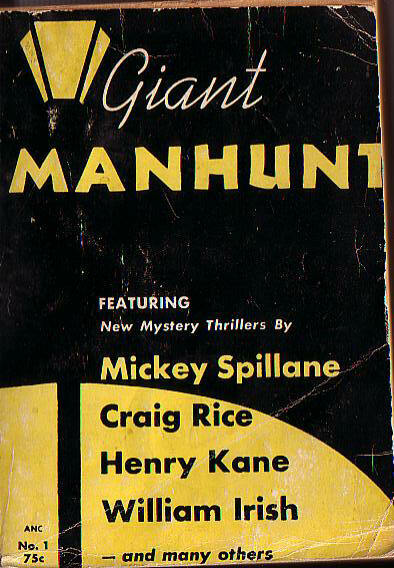 Rebound copies of the January, February, March and April 1953 issues of Manhunt. 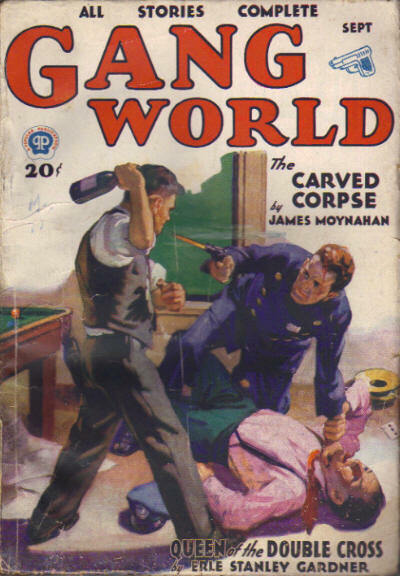 Details supplied by David Rachels & Marv Morrison. 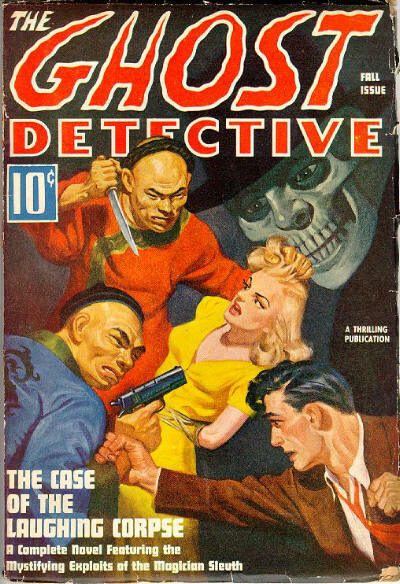 39 · The Hunted · William Irish · nv Manhunt Jan 1953; revised from Death in the Yoshiwara by Cornell Woolrich (Argosy, January 29, 1938).